Don’t let hay get rained on this year. Beat the weather and bale some of the most beautiful hay you have ever made. HayPro® II allows you to harvest more hay and more profit from the same field. Baling sooner means more tons of protien and dry matter per acre – not just more water. HayPro® II is the most effective hay product in the world today. 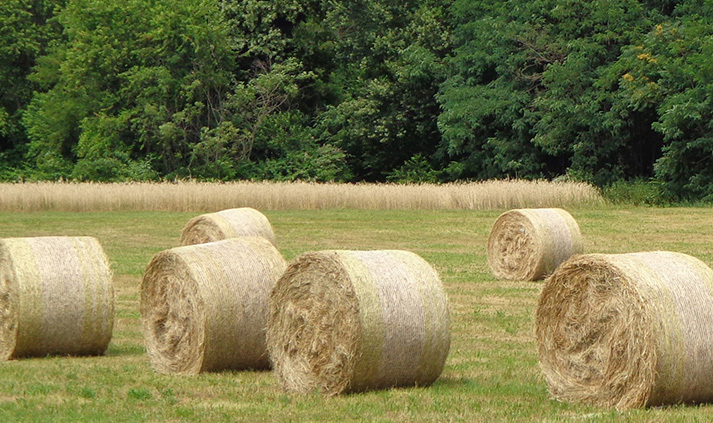 It dosen’t matter what kind of hay you bale: grass, clover, alfalfa, or a mix. With HayPro® II there is no gamble, just top quaility hay and peace of mind. Don’t settle for anything less! HayPro® II was developed to inhibit the organisms that cause heating and mold in high moisture grains. It is composed of naturally occurring digestive acids that are pH balanced for stability. These acids are among nature’s most powerful mold and bacteria inhibitors. This product is as a mold inhibitor in feeds. HayPro® II is a safe, natural way to protect grain. On legume hay, average 15% more dry matter. Hay treated with HayPro II was shown to be beneficial for horses due to its decreased dust and mold content.